Violinist Steven Copes leads a diverse and enthusiastic musical life as soloist, chamber musician and orchestral leader. He joined the SPCO as Concertmaster in 1998, and since then has led the orchestra from the chair in several highly acclaimed, eclectic programs. He also appears frequently as soloist with the SPCO, performing concerti by Bach, Beethoven, Berg, Brahms, Hartmann, Hindemith, Kirchner, Korngold, Lutoslawski, Mendelssohn, Mozart, Piazzolla, Prokofiev, Schnittke and Weill. 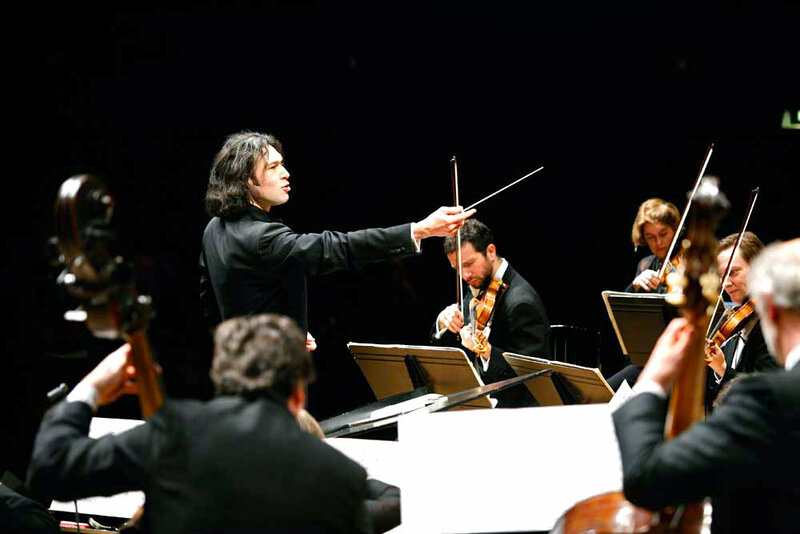 In addition, he has performed as soloist with the Philharmonia Orchestra of London, the Colorado Symphony, Pro Arte Chamber Orchestra in Boston, the Sao Paolo State Symphony, the Orlando Philharmonic and The Knights. A zealous advocate of the music of today, he gave the world premiere of George Tsontakis' Grammy-nominated Violin Concerto No. 2 (2003), which won the 2005 Grawemeyer award and has been recorded for KOCH Records, and also gave the NY premiere of Lutoslawski's Subito (1992) for Violin and Piano. In June of 2017 he gave the World Premiere of Pierre Jalbert's Violin Concerto with Thomas Zehetmair conducting the SPCO. He performed John Novacek's Four Rags with the composer on NPR's Prairie Home Companion with Garrison Keillor. 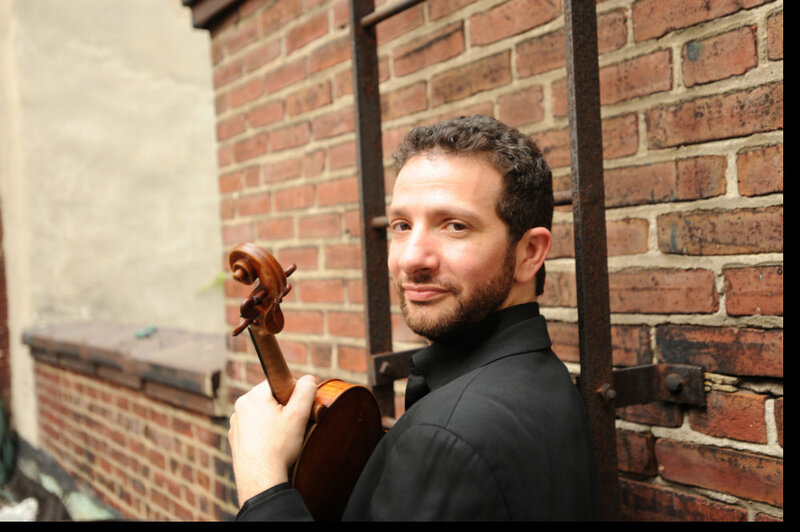 Other recent and upcoming solo engagements include the the Berg Chamber Concerto with pianist Kirill Gerstein at the Santa Fe Chamber Music Festival, Hartmann's Concerto Funebre with the SPCO, the Berg Violin Concerto with the Orlando Philharmonic and Eric Jacobsen, Frank Martin’s Polyptyque with Josh Weilerstein and the SPCO, and the Shostakovich Violin Concerto #1 with Scott Yoo and the Mexico City Philharmonic. An avid chamber musician, Copes has performed at festivals and concert series such as Aspen, Boston Chamber Music Society, Caramoor, Cartagena, Chamber Music Northwest, Chestnut Hill, La Jolla Summerfest, Lake Champlain Chamber Music Festival, Mainly Mozart, Marlboro, Moritzburg, Mozaic, Norfolk, Piccolo Spoleto, Salt Bay Chamberfest, Santa Fe, Seattle Chamber Music Society, Skaneateles, Styriarte, and at other festivals across the globe. He co-founded the Alpenglow Chamber Music Festival in Colorado as well as Accordo, a chamber music group in the Twin Cities, now in its 10th season. 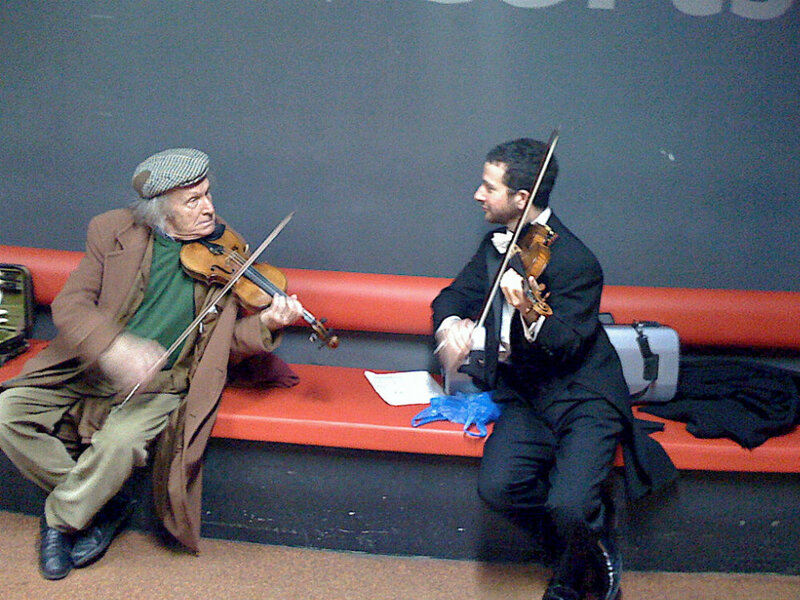 A frequent guest Concertmaster, Copes has recorded and toured extensively throughout Europe and Asia with the Chamber Orchestra of Europe, the Budapest Festival Orchestra, and the Mahler Chamber Orchestra and performed in the same capacity with the Baltimore Symphony, Cincinnati Symphony, Houston Symphony, London Philharmonic, Pittsburgh Symphony, Royal Concertgebouw Orchestra, and the San Francisco Symphony under conductors such as Haitink, Temirkanov, I. Fischer, Masur, Nezet-Seguin, Harding, Jurowski, Nelsons, and Tilson Thomas. A dedicated teacher as well, he has taught and coached at the Banff Centre in Canada, New World Symphony in Miami, Colorado College Summer Festival, East Carolina University, University of South Carolina, (Columbia), National Orchestral Institute in Maryland, Western Michigan University, Indiana University, University of Minnesota, University of Texas (Austin) and Roosevelt University in Chicago. A native of Los Angeles, he holds degrees from The Curtis Institute and Juilliard, and his teachers include Robert Lipsett, Aaron Rosand, Robert Mann and Felix Galimir for chamber music. 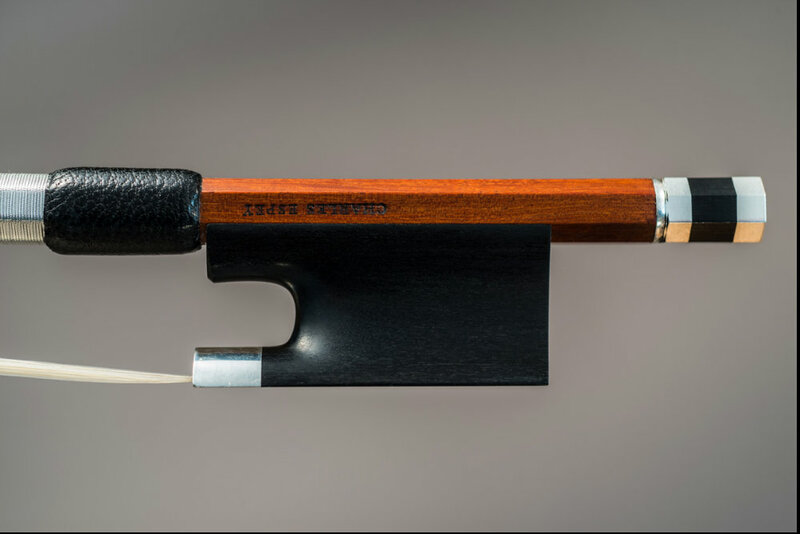 Copes performs on a violin made in 2014 by Brooklyn maker Samuel Zygmuntowicz, patterned after the 'Kreutzer' Stradivarius of 1727. He lives in St. Paul with his wife Anne, two daughters Ella and Isabelle, and Lucie, their Bernese Mountain dog. For its first appearance in its 41st season, the Pro Arte Chamber Orchestra, a unique cooperative chamber group of professional freelance musicians, offered three 19th-century works in the aptly titled “Jewels and Gems.” With Paul Polivnick conducting Saturday night in the highly-decorated sanctuary of the First Baptist Church in Newton Centre, there was much to appreciate. In the crown jewel of the concert, which dazzled after the intermission, the Pro Arte and soloist Steven Copes delivered a lyrical, coherent and exciting rendition of the Beethoven Violin Concerto in D Major (opus 61, 1806). 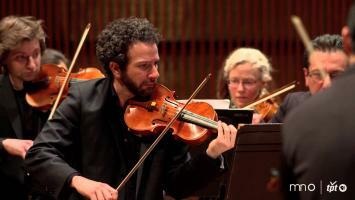 The concertmaster of the St. Paul Chamber Orchestra, Copes has performed Beethoven’s only violin concerto with them and others, and his sweet sound mesmerized the audience. This concerto, innovative as it is, from the first 5 Ds sounded by the tympani, is perhaps too often played and can seem hackneyed, even boring. Not so with this performance, which felt intimate yet declarative, revealing the revolutionary aspects that it contains—the very long introduction and the sense that the soloist is, in some sense, a commentator on the orchestral score and its many melodies. Copes, given his extensive chamber orchestra experience, interacted conversationally with the strings, sometimes playing along in the tutti, but contributing all the fire and verve required of the soloist. By the time he enters as soloist (at measure 89), four sonorous themes have already developed. The softly resonant second movement, did much with the innovative silences within the subtle variations. The striking and bejeweled architecture of the sanctuary allowed the sound to reverberate warmly, which worked very well in slow movements. Beethoven’s rollicking Rondo-Allegro, both conventional and exploratory, allowed both soloist and orchestra simultaneous playfulness and profundity. 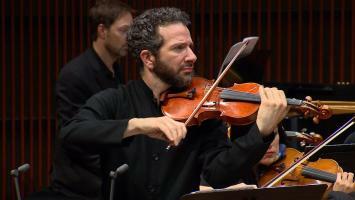 The cadenzas by violinist Robert Mann made a graceful addition to a delightful performance. The other works served us well, starting with Fanny Mendelssohn Hensel’s sole orchestral piece, her Overture in C Major from 1831 (heard also in last week’s BSO concert, reviewed by Vance Koven HERE). Fanny, who, as most of us now know, was Felix’s older sister, collaborated closely with him. This concise overture offers a slow initial theme and then several enthusiastic bouts of melody, with Mendelssohnian orchestrations that lead me to wonder how much of Felix’s oeuvre might have been more than inspired by Fanny. But never mind. Polivnick inspired verve and mastery from the ensemble, though the echoic chancel created some blurring. The articulation and lines of the piece nevertheless came through with polish through Polivnick’s careful, charismatic technique. The delightful performance was followed by a friendly repast in the adjoining church reception area, in which, many decades past, I was a Brownie. The audience drifted out into the freezing night filled with melodic memories and friendly post-concert greetings. 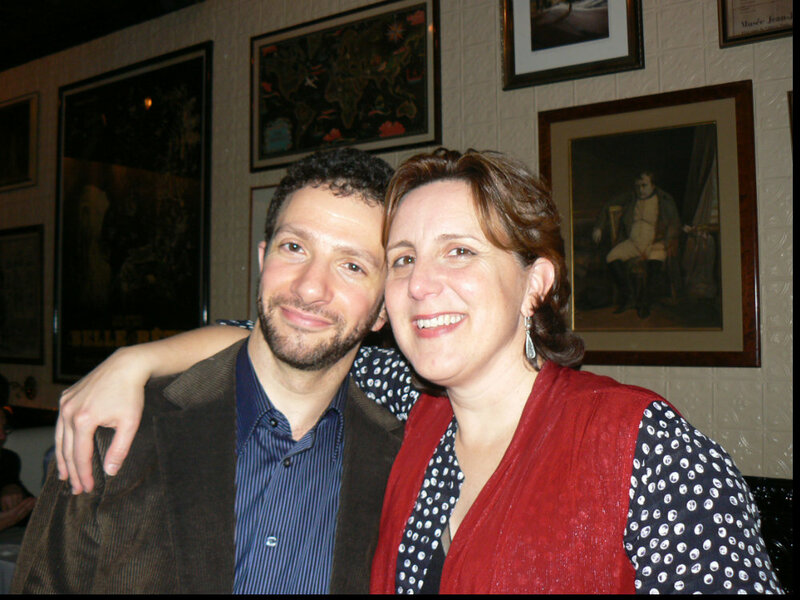 Julie Ingelfinger, is a classically-trained recreational pianist and music lover. She enjoys day jobs as professor of pediatrics at Harvard Medical School, pediatric nephrologist at MassGeneral Hospital for Children at MGH and deputy editor at the New England Journal of Medicine. It’s always a little strange to hear pieces of composers who have not yet found themselves as artists. The Românesc Concert of Ligeti sounds as much as Bartók that it is sometimes difficult to find its signature, and even when you get there, the orchestra lingers little on the elements of writing that could have made it recognize. It is a choice, but the whole nostalgic and painful element of the work - which Ligeti had to leave behind while fleeing from his native country - is not made obvious. We note, however, the brilliance of the solo violin Steven Copes, whose solos were very well executed and capture the attention with a beautiful sound. Election season is an odd time — or is it an oddly appropriate one? — to flood the concert scene with conductorless ensembles. On Saturday the 92nd Street Y opened its season with an inspired performance by the Saint Paul Chamber Orchestra, which offered thrilling renditions of music by Mozart, Schubert and George Tsontakis. On Tuesday, a concert by the Chamber Music Society of Lincoln Center will include a Haydn symphony. And next week Carnegie Hall hosts the Orpheus Chamber Orchestra, an ensemble that perhaps more than any other has shown how much a player-run group can achieve without the interference of someone gesticulating at them from a podium. The beauty, joy and freshness of the Saint Paul players’ music-making on Saturday didn’t just breathe life into well-worn standards of the repertory. To me, it was also a reassurance that, in certain quarters, participatory democracy is alive and well. Scored for strings only, “O Mikros, O Megas” provided an introduction to the refined sound of the musicians. In the subtle gradations from robust dense tone to smoky layers, their playing often resembled that of a first-rate string quartet. 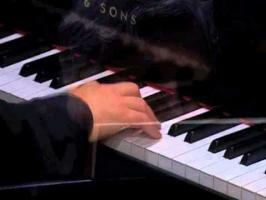 That quality was magnified in the performance of Mozart’s Piano Concerto No. 23 in A (K. 488), for which the irrepressibly charismatic pianist Jeremy Denk joined the orchestra. The airy, upbeat first movement was followed by an Andante of exquisite velvety inwardness, with moments of swelling tone and yearning expressivity that were all the more poignant for being reined in so quickly. Mr. Denk’s interplay with the orchestra’s individual soloists, like the fine clarinets, appeared easy and equal — a joy to watch. A fiery rendition of Schubert’s Symphony No. 2 capped the evening. I’d always dismissed this work as an appealing but predictable exercise in the genre, but the Saint Paul players brought out its storm and stress jitters with stark color contrasts, breathless tempos and a delightfully uncouth, thick-soled Menuetto movement. March 9, 2015- The night before, the Saint Paul Chamber Orchestra played next door in the brand-new Ordway Concert Hall, a handsome, 1,100-seat facility that opened this month. 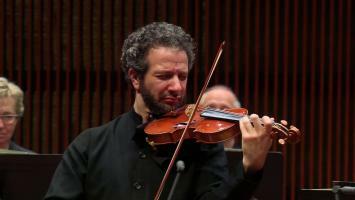 They brought a similar sharpness and artistry to a new Violin Concerto by American composer Pierre Jalbert, which had its world premiere at Friday morning's concert at the Ordway in St. Paul. SPCO concertmaster Steven Copes played the jagged, hyperactive solo part with biting attack and a superfine sense of tuning. The concerto's most arresting music came in the outer sections of the opening movement, where slithering piano glissandos and twinkling percussion meshed with wispy violins to conjure a magically airborne texture. In between, and for much of the second movement, Jalbert's music was dominated by edgy, yakking rhythms that seemed to value a raw sense of propulsive dynamism over more expansive, lyrical material. After the bubbling, swirling underwater fantasia that is Mendelssohn’s “Fair Melusina” Overture, SPCO concertmaster Steven Copes took the stage as soloist for Jalbert’s Violin Concerto. By turns haunting and menacing in the early going, the two-movement concerto became an absorbing meditation on which Copes’ lines grew more agitated, the orchestra summoning up dark drama. Often taking on an antiphonal structure — Copes and the other violins engaging in a kind of call-and-response exchange — the first movement exploded into a climactic cadenza before Copes articulated a compelling longing atop vaporous, whispering strings. ORLANDO – Music from the Second Viennese School is something of a rare bird on classical concert programs in Central Florida, which has traditionally favored standard repertoire. But the Orlando Philharmonic has more recently welcomed 20th century and contemporary pieces, thanks not least to Eric Jacobsen, the progressive New York-bred conductor and cellist currently serving his second season as music director of Orlando’s foremost classical music organization. A founding member of the genre-bending string quartet Brooklyn Rider, Jacobsen stepped away from his cellist seat in early 2016 to focus on his blossoming conducting career. 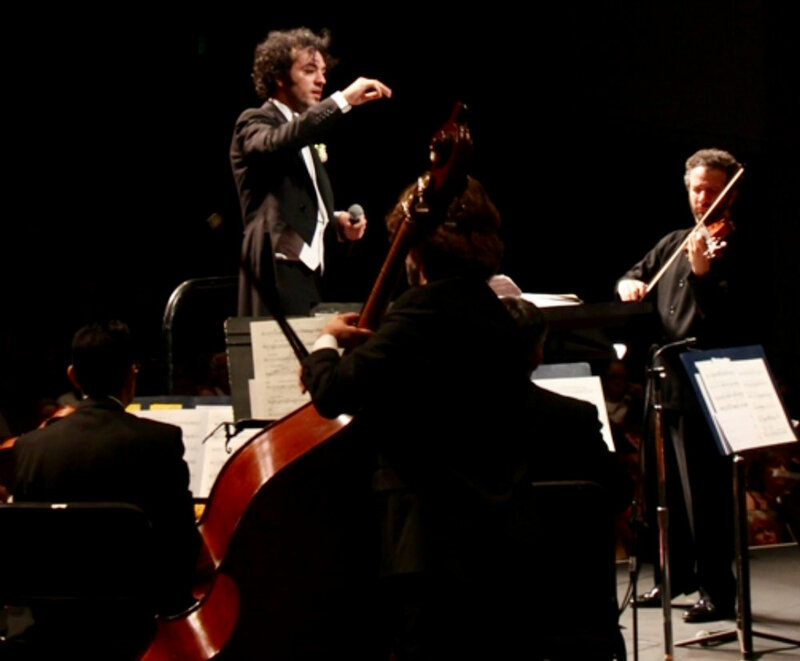 Selected for the Philharmonic’s top artistic position after an intensive two-year international search, Jacobsen, 34, is also a co-founder and artistic director of the chamber orchestra The Knights and is serving his third season as music director of the Greater Bridgeport Symphony in Connecticut. With a superlative grip on orchestral forces and his distinctive youthful flair, Jacobsen remarkably lifted the ensemble to higher artistic ground on the Philharmonic’s season opener Oct. 1, at downtown Orlando’s Bob Carr Theater. Adding spice to a program weighted with Russian masterworks was Berg’s Violin Concerto of 1935. Steven Copes, concertmaster of the Saint Paul Chamber Orchestra and avid performer of contemporary music, was the soloist. But before launching into the piece, Copes and Jacobsen – with accompaniment from the orchestra – previewed several sections. The demonstration covered no fewer than five sections (including two waltzes, one folk song, and a timpani-led passage with Jacobsen clapping along to the irregular beat), as well as the mournful Bach chorale that caps the concerto. There was no mention, however, of the most alluring aspect of the piece: Berg’s lyrical 12-tone theme that forms the thematic basis for most of it. At the request of violinist Louis Krasner, who commissioned the piece in the last year of the composer’s life, Berg accomplished a fusion of the lyrical qualities of the Romantic tradition and the mathematical method of 12-tone composition. 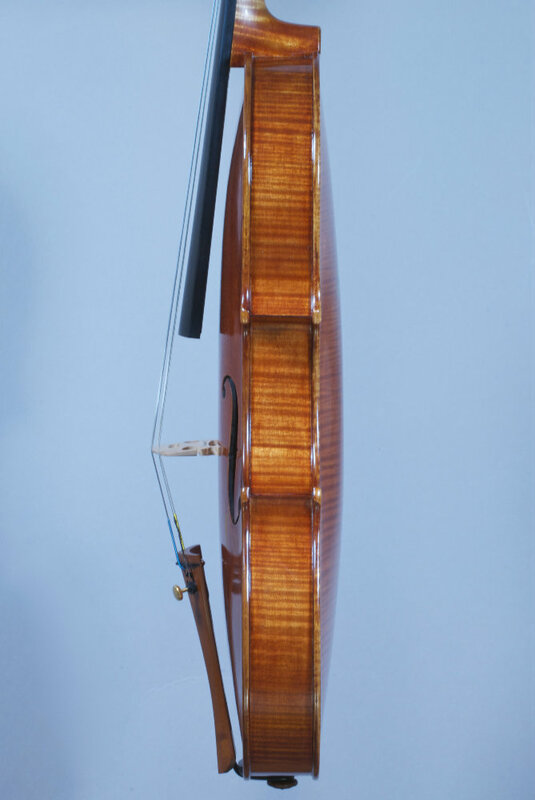 The chamber orchestra reduction by Faradsch Karaew, used for this performance, brings the string section down to a compact two violins, and one each of viola, cello, and bass, which sounded especially clear and attuned to each other. Playing from a score, Copes shaped his phrases with elan, managing subtle crescendos as he climbed up the fret board in swirly patterns. In quieter phrases during the first movement, though, he tended to get buried under the busy texture in the ensemble. But then again he was vehement and acrid in the second half of the concerto, matching the prevalent unsettling mood. In the allegro section of the second movement the ensemble captured the anxious dissonance of the opening chord, even with reduced instrumentation. With riveting work from horn and trombone, adjacent tones piled up into a jarring expressionistic cluster in one of the concerto’s harshest moments. Chances are that you’ve never heard of Karl Amadeus Hartmann. That’s understandable when you consider that he was a German composer who chose to stay in Germany and openly resist the regime as Nazism took hold, World War II grew and most European composers became exiles. Hartmann’s music was banned in his native land, but, amazingly, he survived and went on to spearhead a revival of Munich’s musical culture after the war. If you have any question as to how Hartmann felt about the Nazis and what they unleashed upon Europe, you’ll find his answer in his “Concerto Funebre,” a dark and powerful violin concerto that he wrote in 1939 after the invasion of Czechoslovakia. 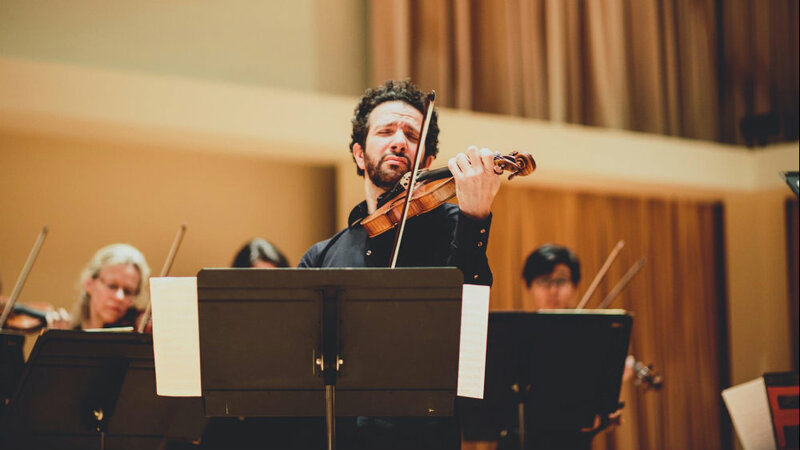 It’s being given a gripping interpretation at this weekend’s St. Paul Chamber Orchestra concerts with the orchestra’s concertmaster, Steven Copes, as soloist. On Thursday evening at Minneapolis’ Plymouth Congregational Church, Copes and the SPCO strings skillfully articulated the paradoxical combination of hope and despair in this fascinating work, producing something haunting and hypnotic, then aggressive and explosive, and finally resilient and life-affirming. 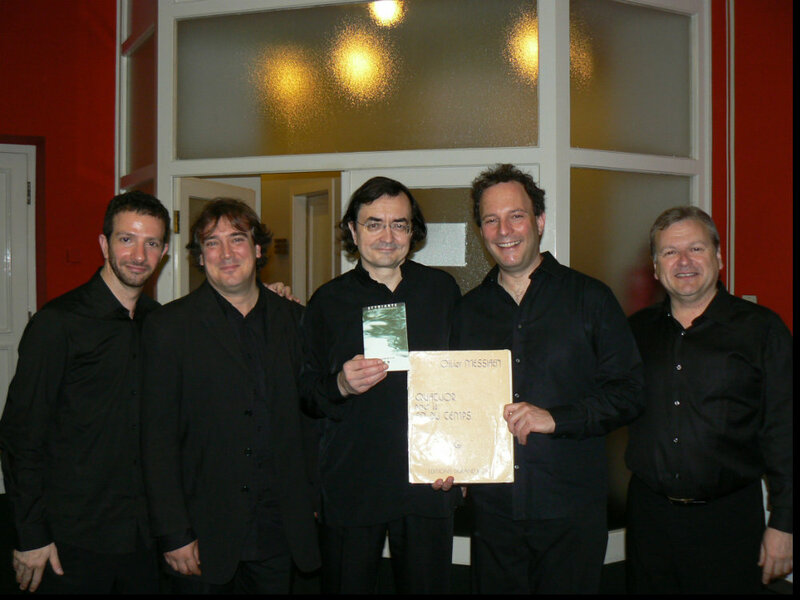 It was the exciting, absorbing centerpiece of a concert of music from Germany and Austria. Knowing of the darkness that lay ahead, it was perhaps wise to start the evening with lighter fare from Hartmann’s German contemporary, Paul Hindemith, his “Kleine Kammermusik” for woodwind quintet. It was given a bright and ethereal reading interrupted by the troubled tones of a mournful march. Call it musical diplomacy. On Friday morning, conductor Scott Yoo tried to negotiate a peace treaty between an audience at St. Paul's Ordway Concert Hall and the "Second Viennese School" style of the early 20th century, which can prove difficult listening for ears accustomed to Bach and Mozart. This "Notable Encounter" was something like a music history lecture with onstage musicians demonstrating the key points, followed by a complete performance of the work. One can assume it's something the St. Paul Chamber Orchestra will do with other works if this weekend's offering is well received. This may sound like an East Metro take on the Minnesota Orchestra's "Inside the Classics" concerts, but I don't recall the Minnesota Orchestra ever taking on something as complex and potentially confounding as Alban Berg's Chamber Concerto for Piano, Violin and 13 Wind Instruments. Yoo did an admirable job of making the music as accessible as possible and explaining forbidding concepts like the 12-tone system and Berg's over-under-sideways-down way of creating variations. If the Curtis Institute of Music isn't careful, it may disturb Philadelphia's self-satisfied parochialism even more than it has. Summerfest, Curtis' summer camp, has proved how powerfully the city benefits from importing talent beyond the usual sources while folding it into the school's own. Of course, Curtis can have it both ways. Though some of the faculty performing Thursday night at the last in a new series of three Summerfest recitals were from orchestras elsewhere, most were, in a sense, of here - Curtis graduates. You may not have caught Steven Copes as a student in the 1990s. Now, he is concertmaster of the St. Paul Chamber Orchestra, and, returning to Curtis, he was a knockout. Given what we now know about Robert Schumann’s bipolar personality, it almost seems like a cheap shot to call his beloved Piano Quintet in E-Flat Major, Op. 44, manic. According to his biographers, however, he did sketch the entire work in a few days and produced the finished score in a mere two weeks’ time. With the exception of the strange, marchlike second movement, the rest of this Piano Quintet blisters relentlessly across the stage at dangerous and unforgivingly daunting tempos, a challenge that Mainly Mozart’s performers undertook Saturday (May 30) at the Auditorium at TSRI without the slightest indication of strain or undue exertion. Pianist Jon Kimura Parker set the pace, his bright, keen-edged figurations vigorously cutting through the string quartet without overpowering his colleagues. I thought violinist Steven Copes mirrored more closely Parker’s stylish, acute phrasing and articulations, although his colleagues—violinist Alexander Kerr, violist Hsin-Yun Huang, and cellist Efe Baltacigil—brought equal virtuosity to the table. Shrouding the slow second movement in hazy, spectral colors gave an otherworldly aura to the march’s curious hesitations, as did Huang’s throaty, macabre viola solos. Parker’s technical brilliance in the Scherzo, which Schumann snarkily marked molto vivace, fooled some of the audience into thinking it was the Quintet’s concluding movement. Although Schumann’s final movement lacks the dazzle of his Scherzo, the ensemble projected an unexpected jocular interpretation of the its fugal sections that provided some of the program’s most rewarding moments. The string quartet worked up to the Schumann with Mozart’s bagatelle, the Adagio and Fugue in C Minor, K. 546, and Beethoven’s early String Quartet in C Minor, Op. 18, No. 4. From their program bios, it does not appear that these four string players regularly work together, and their opening Mozart displayed more individual muscle and assertion than fluid teamwork, and the ensemble’s dynamic contrasts were few. ST. PAUL, March 8, 2015 — While the world has many splendid opera houses and orchestra halls, performance spaces ideally suited to chamber orchestras of, say, 30 to 35 players, are rarer. These ensembles are like hybrids between chamber groups and full orchestras. What’s needed is a hall that allows clarity and detail in the playing to come through while providing orchestral resonance and bloom. The impressive St. Paul Chamber Orchestra, currently in its 56th season, probably the leading ensemble of its kind in America, has never had such a home. Now it does. On Thursday the orchestra presented a gala program here to celebrate its new Concert Hall, an inviting, acoustically ideal, 1,100-seat auditorium here at the Ordway Center for the Performing Arts. Before a sold-out audience on Friday night (the second performance of the program), the orchestra gave inspired accounts of Prokofiev’s “Classical” Symphony, Ives’s “The Unanswered Question,” the premiere of George Tsontakis’s “Coraggio” for String Orchestra, and Beethoven’s “Eroica” Symphony, all without a conductor. You could sense the excitement of the musicians over their new home, especially during the Beethoven, as the players leaned forward in their seats, listening to one another intently. Inner voices and solo lines came through beautifully. Yet the overall sound had symphonic depth and, during big climaxes, plenty of heft. After the Ordway Center opened in 1985, the St. Paul Chamber Orchestra played most of its concerts in the complex’s Ordway Music Theater, a 1,900-seat proscenium auditorium that is home to the Minnesota Opera but was problematic for a chamber orchestra. Discussions about creating a designated hall for the orchestra began some 10 years ago. The first idea was to renovate the Ordway Music Theater. Instead, the center turned to an underused component of the complex, the McKnight Theater, a 315-seat black-box space. The architect Tim Carl, of Hammel, Green and Abrahamson, and the acoustician Paul Scarbrough devised a plan to turn the theater into a fitting chamber orchestra hall. The existing footprint of the space was nearly doubled. To prevent sound from being sucked up into the high ceiling, it is covered with wavy panels of warm wood dowels. There are rows of seats behind the stage, for a chorus or for concertgoers, which fosters intimacy between the audience and the musicians. This $42 million project comes at a crucial time and should help the orchestra and its supporters move past the troubles of recent years. The classical music scene in the Twin Cities was rocked by bitter labor negotiations at the Minnesota Orchestra, which resulted in a long, debilitating lockout of the players by the administration that ended in early 2014. That story overshadowed similar strife at the St. Paul Chamber Orchestra, which had a lockout lasting six months, ending in the spring of 2013. There was turnover among the musicians during the lockout and the roster now includes some younger, eager new players. From the sound of the orchestra during Prokofiev’s “Classical” Symphony, it seemed that the musicians have already adjusted to the new hall and its acoustics. During the sprightly, slyly decorous Allegro movement, they were able to nudge offbeat accents and sudden fortissimo chords without any sense of pushing. In the bustling finale, there was striking clarity to crisscrossing lines and spiky harmonies. I have seldom heard this familiar Neo-Classical score sound so multilayered and contemporary. 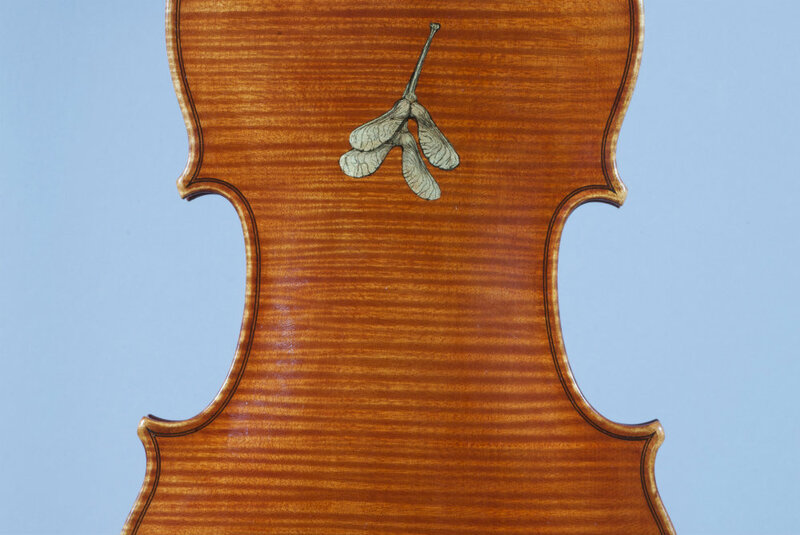 The Ives was added to the program, as Kyu-Young Kim, the orchestra’s principal second violin, explained to the audience, because the piece can demonstrate a hall’s acoustics. The strings, placed onstage, played the subdued diatonic chords and scale patterns that provide the aural foundation of the music. From high in the second balcony a solo trumpet posed the cosmic question, while from behind the porous backstage wall woodwinds intruded with jarring Ivesian outbursts. In his remarks, Mr. Kim also paid tribute to the construction workers who were, he said, true partners in this endeavor. In the lobby it was moving to see photos of some of these workers, holding hammers and drills, their instruments, interspersed with photos of musicians. The Tsontakis, though a premiere, was not completely new. “Coraggio” is a fresh arrangement of a movement from that composer’s 30-year-old String Quartet No. 3. The music shifts between passages of slippery, out-of-focus tonal harmonies and episodes of rustic dance, like tart, fractured fiddle-faddle. It’s an appealing piece and was vibrantly played. But in this context it seemed more conventional than the Ives. 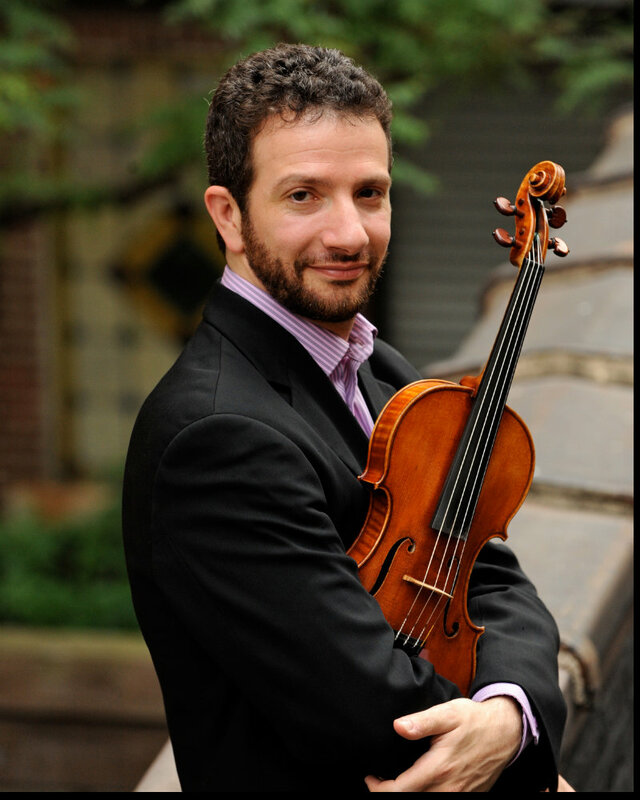 The concertmaster Steven Copes was the de-facto leader of the “Eroica” Symphony performance. For a decade now the St. Paul Chamber Orchestra has done without a music director and instead collaborates with shifting artistic partners. The musicians give many performances without a conductor, depending on the program. If there was occasionally a passage in the Beethoven where coordination among the players was a little imprecise, the trade-off was music-making of in-the-moment brio. Details that seldom stand out were vividly audible here, especially in the orchestra’s somber, organic account of the great slow movement, the funeral march. The main attraction was pianist Jeremy Denk, the recently christened SPCO artistic partner who bookended the program with two J.S. Bach Keyboard Concertos, culminating in an exciting take on the First Concerto's finale. But this was a concert at which one of the world's most famous composers shared equal billing with -- and may have been upstaged by -- one considerably less lauded. That would be Leos Janacek, a Czech composer of the early 20th century, who was represented by two 1920s works of radically different tenors. One was his haunting Violin Sonata, given a gripping reading by SPCO concertmaster Steven Copes and pianist Denk. The other was a lilting, lyrical, folk-flavored work for wind sextet called "Mladi" or "Youth," the only major-key piece on a program full of darker-hued music, and one that the wind players filled with joy and exuberant solos. Five string players performed a transcription of a sad madrigal of lost love by Renaissance composer Carlo Gesualdo that fit with the evening's somewhat troubled tone, a mood at its most compelling during the Janacek Violin Sonata, when Copes' violin violently exploded into lovely, languid phrases from Denk's piano. Written as World War I was exploding across Europe, the sonata summoned up an aura of trepidation. So the crowd at Minneapolis' Temple Israel was smiling at intermission, buoyed by a very involving interpretation of the Mendelssohn concerto by the orchestra's concertmaster, Steven Copes. If some of the sprightly spirit in its finale was reprised on the concert-closing performance of Beethoven's Second Symphony, this might have been one of this winter's most ebullient concerts. But the SPCO chose to paint the Beethoven in darker shades, forsaking pep in favor of gravitas. Yet plenty of afterglow remained from the Mendelssohn. Mendelssohn's E-minor Concerto is always part of the conversation when discussing history's greatest violin concertos, but it's not as much a flashy showpiece as an extended lyrical aria, a passionate conversation between soloist and orchestra. After a summer of silence and a year-long lockout of the equally esteemed ensemble to its west, the Minnesota Orchestra, Friday night presented a powerful reminder of what first-rate performances of masterful music can do to stir your soul. It was there in the exuberant yet meaty interpretation of the Bach suite and in the thrilling showmanship of concertmaster Steven Copes on the pseudo-violin concerto housed within Mozart's "Haffner" Serenade. The opening subject of Beethoven’s Piano Concerto No.1 can sound Rococo, almost fey, in some hands, but even before it grew to its full strength here there was a muscularity to the Mahler Chamber Orchestra’s delivery (directed by Andsnes from the keyboard) that spoke of the strength to come, and threw down the gauntlet in the battle the concerto enacts between soloist and tutti. The woody mesh of tone created by the orchestra is perhaps their greatest strength – a carefully balanced texture through which a whole palette of colours can be refracted, as they later demonstrated so comprehensively in Stravinsky’s Apollo musagète. Stravinsky’s ballet Apollo musagète offered a mid-concert showcase for the strings of Europe’s greatest overgrown youth orchestra, directed by Concertmaster Steven Copes. While outwardly much more conservative than the composer’s more familiar works for the Ballets Russes The Rite of Spring or The Firebird, Apollo merely pays lip-service to conformity, treating conventions of musical form and dance with a playful subversion. Performing as both conductor and soloist, Andsnes led his regular collaborators in Beethoven’s First and Third Piano Concertos, leaving them under the direction of Concertmaster Steven Copes for Stravinsky’s Apollo musagète. The recording sessions Andsnes and the orchestra have just completed have created a gelled, natural partnership that needs little from Andsnes apart from the occasional turn as traffic cop. The ensemble’s vivid energy is balanced by their control, and although characterful the opposition between soloist and tutti in the First Piano Concerto was never less than poised. There was nothing polite about the Stravinsky however. Languorous and unashamedly ribald by turns, Stravinsky’s ballet score leapt into far-from-classical life in the strings of the MCO. While the variations found them witty and Copes’s own solo brought new gravitas to the deity, it was the ecstatic Apothéose that saw the orchestra at their finest. Bows dug deep into strings, reaching for for block chords that physically forced their way into the hall, knocking air out of you before suddenly releasing the bloom of their tone. The Mahler Chamber Orchestra, founded in 1997, has established a reputation as one of the finest chamber orchestras in the world. Their relatively small size was obvious here in Birmingham’s Symphony Hall, more often a host of much larger ensembles. The musicians were also clustered tightly around the piano, which was placed in the centre of the group and positioned so that the pianist’s back would be to the audience. The Overture to Richard Strauss' final opera, "Capriccio," is a string sextet being performed for the opera's characters in the setting of an elegant salon. The chamber ensemble Accordo opened their third season with it on Monday evening, in their new home at Christ Church Lutheran in south Minneapolis. The setting might not be as plush as a salon, but it was certainly acoustically resplendent. The clean, mid-century modernist architecture, by esteemed Finnish architect Eliel Saarinen, is on the National Historic Registry. The striking blending of light brick and blonde wood projects a bright sound of ringing clarity, but with enough reverberation to perfectly complement Strauss' grand Romantic score. The quintet is made up of St. Paul Chamber Orchestra violinists Steven Copes and Ruggero Allifranchini, violist Maiya Papach and cellist Ronald Thomas, along with Minnesota Orchestra cellist Anthony Ross and guest artist Minnesota Orchestra violist Rebecca Albers. 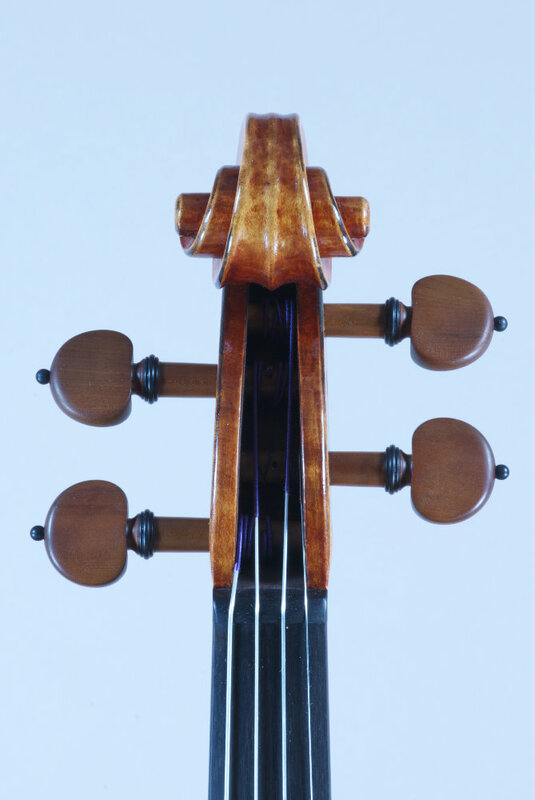 The six instrumentalists produced a rich, resonant sound, but were also capable of moments of refined delicacy. The centerpiece of the program was Arnold Schoenberg's tone poem "Verklärte Nacht" ("Transfigured Night"). This late Romantic composition came before his conversion to 12-tone music. Written in 1899, this is Schoenberg's Opus 4, a work of his youth. The poem on which it's based, by Richard Dahmer, is also a work of youthful sentimentality. In the first part, a woman confesses that the child she's carrying is not her lover's. In the second, he forgives her, and the night is transfigured. Though Schoenberg later disparaged the work's programmatic associations, the tone poem is very clear in its drama. 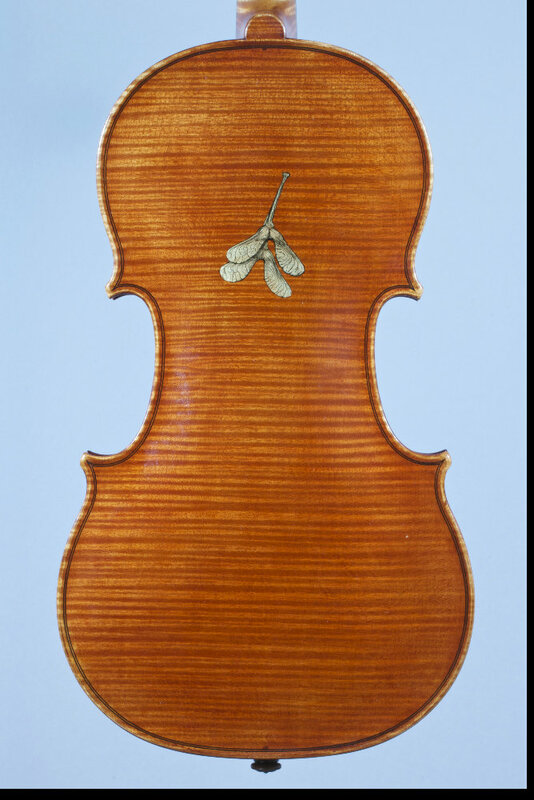 Albers' viola gave plaintive voice to the woman's grief. And Copes effectively conveyed the transformative power of the lover's absolution. The intense melodies and complex chromatic harmonies created a passionate piece of musical storytelling. The concert concluded with a rousing rendition of Tchaikovsky's "Souvenir de Florence." The title comes from the fact that he wrote one of the principal themes while visiting Italy, but the work is distinctly Russian-sounding in its use of folk melodies. Allifranchini took full advantage of the lead violin part. Accordo's third season is off to a great start. With luck, Christ Church Lutheran will be it's home for many seasons to come. concertmaster, Steven Copes, as soloist. Copes is a Los Angeles native, and he proved quite skilled at Hollywood heartstring tugging. Copes coaxed swooning reveries in the Romance before unleashing his inner folk fiddler on the fanciful Finale. He threw himself into the interpretation with theatricality worthy of an Oscar. After a financial crisis at its home hall, the Southern Theater, left it homeless, this talented quintet of string players from the St. Paul Chamber Orchestra and Minnesota Orchestra likely saw dark days ahead. But then offers of help started pouring in: The Schubert Club wanted to present their concerts. And Northrop Auditorium's concerts and lectures department. And the Southern's onetime music maven, Kate Nordstrum, now with the SPCO. And maybe most important of all: Minneapolis' Christ Church Lutheran, which asked if the group wanted to perform its concerts there. All of this good fortune came together Monday night for the opening of the group's three-concert spring season. And a wonderful one it was, a performance bursting with electricity and urgency. Performing three works for string sextet, Accordo produced something far more intense and exciting than most would imagine chamber music could be. Strauss, and violinist Steven Copes and cellist Anthony Ross let the passion pour forth. But the performance by which this concert will be remembered was an intense and emotionally evocative interpretation of Arnold Schoenberg's "Transfigured Night," in its original six-musician incarnation. In Accordo's hands, it became an inspiring journey from dark despair to shimmering triumph, full of drama and musicianship both precise and powerful. No operatic aria could convey such a sense of desperate longing. And the concluding performance of Peter Tchaikovsky's "Souvenir de Florence" also reached a fever pitch of swoon-ready romanticism, the six musicians pouring their hearts into the interpretation. 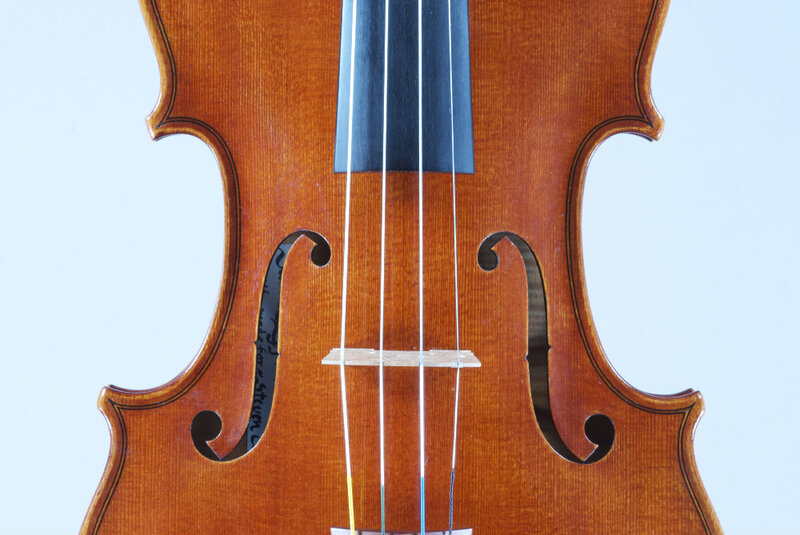 Ubiquitous in jazz and hip-hop, borrowing is scarcely less common in the music known as classical. 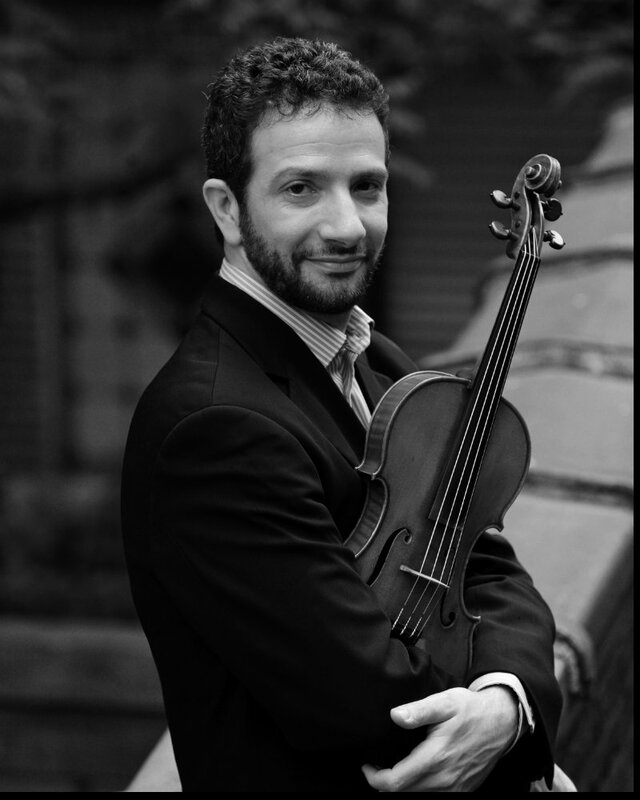 For evidence, look no farther than this week's concerts by the St. Paul Chamber Orchestra, led by Rossen Milanov and featuring violinist Steven Copes, the orchestra's formidable concertmaster, as soloist. 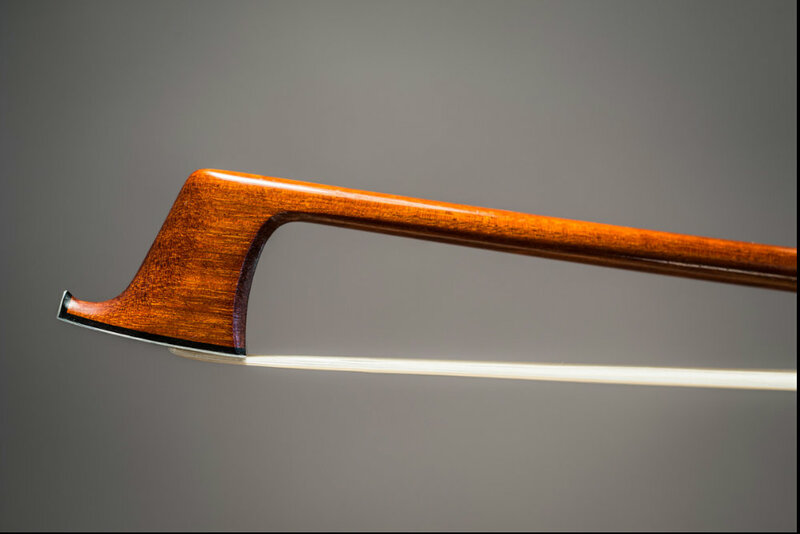 The concerto, as the composer put it, was written "more for a Caruso than a Paganini" -- despite its fearsome technical demands, its essence is lyrical, not virtuosic. Copes, his tone gorgeous, his zest palpable, did full justice to both dimensions. He executed Korngold's bewitching "Romance," the piece's heart, with marvelous poignancy; its dissolving close was a full-body goose-bump moment. 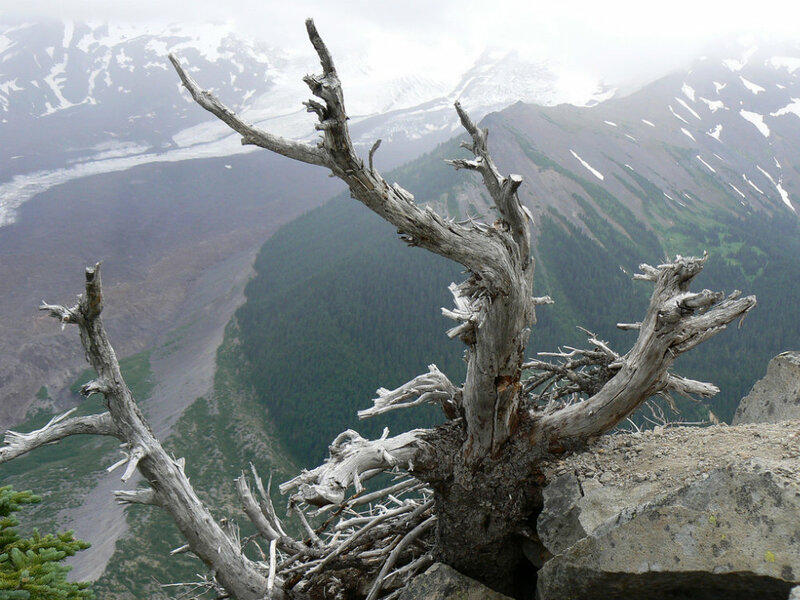 And by the end he'd found the sense of ease and spaciousness I'd missed at first. I stood in my stall in rapture last night, listening to the most amazing interpretation I’ve ever heard of Brahms’ Op. 8, B Major Piano Trio at the closing concert of the Cartagena International Music Festival in Colombia. I’m not sure I will ever hear it played in such a sensitive, viscerally connected, narratively taut, yet masterfully paced way again — by an ad hoc trio that fitted in scant rehearsal time between other concerts and giving masterclasses to young musicians. The experience encapsulated the full, true, fragile, ephemeral attraction of the live concert. A live recording, as good as most are, can’t reproduce that special spark of the moment. To paraphrase Lady Bracknell, live music is like a delicate, exotic fruit; record it, and the bloom is gone. After the concert, all sorts of other paradoxes came floating up into consciousness. I had travelled to the Southern Hemisphere to drool over a piece played by three people from the Northern Hemisphere (violinist Steven Copes, cellist Alicia Weilerstein and pianist Brian Ganz). I was in the New World listening to the quintessence of the Old World. There is a part of the classical-music world that has for so long made a desperate attempt to cast off the art's perceived starchiness that the desperation has become as traditional as the starch. And then there is the Boston Chamber Music Society, which, like an enduring fine-dining monument, maintains old-fashioned ways at such a high level that one is reacquainted with their virtues. Saturday's concert, the last of BCMS's summer series at Longy's Pickman Hall, followed a predictable programming pattern: a contemporary hors d'oeurve followed by entrees of 19th-century standards. 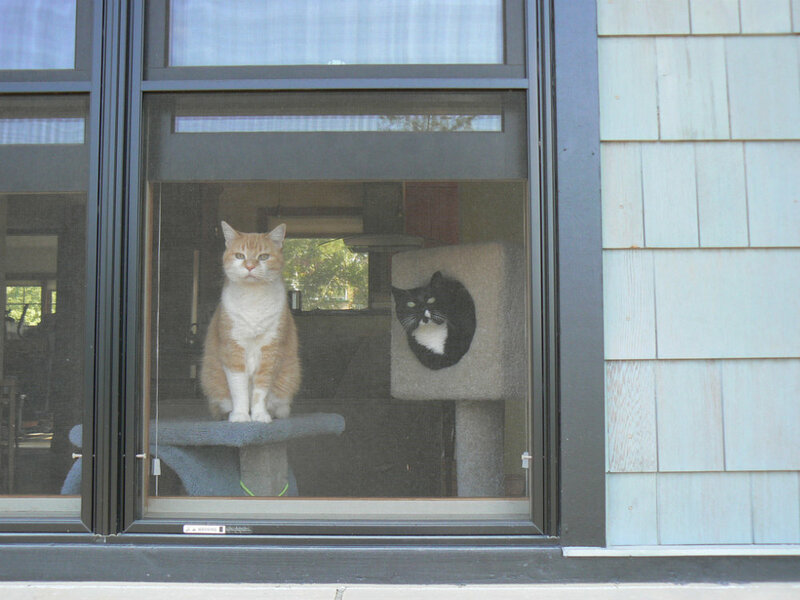 The tuxedos were pressed, the applause was ritually withheld between movements. But formality doesn't always create distance, sometimes it collapses it; the thoughtfulness and accomplishment of the playing was consistently stimulating, even when a garnish or ingredient wasnԴ exactly to one's liking. It was enough to draw a healthy crowd, even in the face of an approaching hurricane. Violinist Steven Copes and violist Maiya Papach presented the first course, selections from George Tsontakis's Knickknacks, a polystylistic anthology of short duos. The music tries out various roles - minimalist cheer in Shuffling, Latin drama in Fandango Facade - but most of the pieces revealed a core of sinuous, austere counterpoint. (Only Bumpkinesque, a fiddle-powered engine revving hard in second gear, defied the pattern.) Copes and Papach, fellow principals in the St. Paul Chamber Orchestra (where Copes premiered Tsontakis's Second Violin Concerto a few years ago), had ample flair to set off the more sober passages. Ronald Thomas, BCMS's emeritus director, was joined by pianist Benjamin Hochman for the Opus 38 Cello Sonata of Johannes Brahms. It is a youthful piece, at least by the self-critical Brahms's standards. Thomas and Hochman seemed eager to connect the music to even earlier influences: Schumannesque lieder, Haydnesque lissomeness. Brahms was flexing his mastery of forms bequeathed by history - sonata, minuet, fugue - but the unhurried, slow-burn performance downplayed structural mass in favor of pointing out graceful outlines and details. Their sound contributed: Thomas's fine-drawn tone, gauzy and deep in the bass, wiry and buzzy up high; Hochman's classical lightness, gliding over the top of the keys rather than digging in. One might have wished for more gravity in the fugal Allegro finale, which instead came out preciously crisp. This concert took place the night before Hurricane Irene was scheduled to come through. Nevertheless, the auditorium was quite full. They crowd came out to hear three works performed by the Boston Chamber Music Society: Knickknacks for Violin and Piano by George Tsontakis, Cello Sonata in E minor by Johannes Brahms, and Piano Quartet in C minor by Gabriel Fauré. I wasn’t familiar with Tsontakis, just a little nervous about the piece from the title he’d chosen. I was prepared to hear an eclectic work, invoking a variety of styles from a wide variety of musical genres. And so it was. From the start of first movement, “Shufflling,” his arpeggios suggested minimalism; there were echoes of the late Beethoven string quartets; there was a cakewalk-like section; there were harmonies that reminded me of Philip Glass’s 5th string quartet. (You should listen to that quartet even if you are certain you dislike Glass.) I heard echoes of Bartok and Prokofiev. But altogether, the movement stood well by itself. The rest of the program was sheer delight. 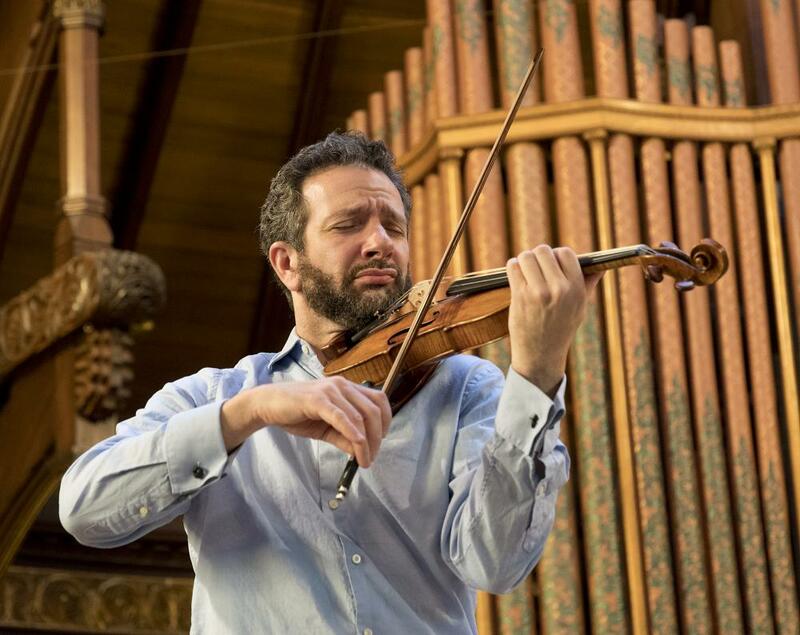 Violinist Steven Copes and pianist Shai Wosner gave an electric, sometimes impish performance of Igor Stravinsky's Divertimento from 'The Fairy's Kiss,'a stripped-down version of ballet music drawn from Tchaikovsky. In the violin and piano arrangement, Stravinsky's own orchestration of Tchaikovsky's material is reduced to its essentials, lean textures skipping on lively rhythms, and Copes and Wosner made a fun, vividly colored story of it. Steven Copes interpreted Bach's a minor Sonata with an extraordinarily noble tone. He played seriously- in the best sense. With him, one feels that the music is simply in good hands. The Bartok Second Concerto was delivered by the American, Steven Copes, with flashing, often exhilarating vigour and a real sense of how the whole piece works and unfolds, not just its dazzling effects and grateful passages. 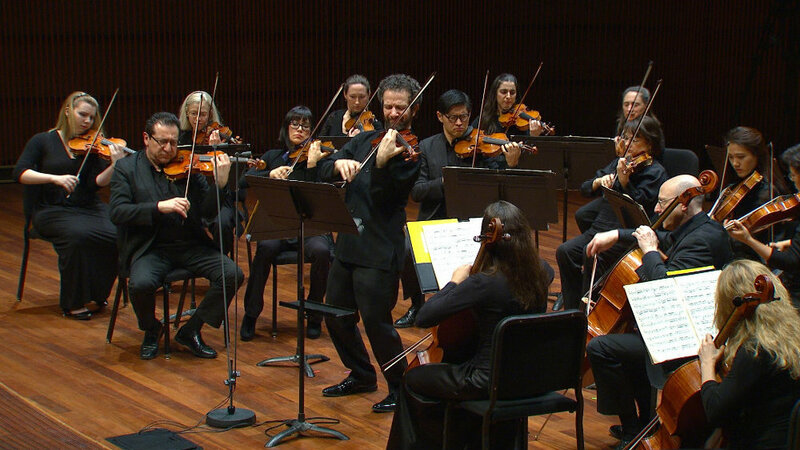 They probably didn't expect to be wowed by the other piece on the program, Argentine tango master Astor Piazzolla's "The Four Seasons of Buenos Aires," given an adrenalin rush of a performance by violinist Steven Copes and the SPCO strings. But wowed they were, judging from the first 11 a.m. standing ovation in this regular concertgoer's memory. While the Vivaldi was also well played, the main event was upstaged by a work that drew upon it for inspiration. Actually, that wasn't what Piazzolla had in mind when he wrote "The Four Seasons of Buenos Aires." They were composed as separate pieces, each capturing the bustle, hum and dance rhythms of that Argentine port city. But Russian composer Leonid Desyatnikov arranged them into little violin concertos that drop in some of Vivaldi's themes as musical signposts. On Friday morning, the SPCO's concertmaster, Steven Copes, proved an electrifying soloist, unleashing breathtaking fire upon "Summer," becoming a bow-wielding percussionist on "Autumn" and "Spring" and making "Winter" a sweet, sad torch song with a singing melody. Throw in the fact that the whole SPCO string section was exceptional on the piece, and it set the Vivaldi up to be anticlimactic. 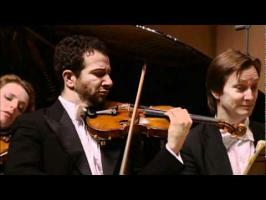 And that's too bad, because violinist Ruggero Allifranchini played it quite well. It made for an enjoyable performance, but it didn't raise goose bumps like the Piazzolla. Clearly unwilling to squander a visit to New York by performing as a backing band, the orchestra also played a short preconcert program devoted to Shostakovich's Chamber Symphony in F (Op. 73a, actually Rudolf Barshai's 1990 orchestration of the Third String Quartet). The arrangement works brilliantly. The passion of Shostakovich's 1946 meditation on World War II is magnified not only by the heftiness of the string textures but also by the broadened palette afforded by the winds and harp. The orchestra, led by its concertmaster, Steven Copes, produced a wonderfully focused, opulent sound. In one sense, the St. Paul Chamber Orchestra is venturing into uncharted territory this weekend with a program of works that have never been performed by this band. But from an audience perspective, it's far from an uncharted voyage. Most of the program is very well-known: Debussy's "Prelude to the Afternoon of a Faun" and Schumann's Symphony No. 4. The centerpiece, Kurt Weill's Concerto for Violin and Winds, is less familiar, though it was presented just last spring by the Minnesota Orchestra with concertmaster Jorja Fleezanis as the soloist. The concerto has an utterly different impact in this outing, which features concertmaster Steven Copes. Whereas the Minnesota Orchestra's presentation had a frenzied, explosive quality, the SPCO's performance is more refined and shaped — though it is still an exciting piece that involves wind instruments carrying knotty thematic passages while the soloist turns in a frequently dazzling display of spiky runs and double-stop figurations. Weill wrote the concerto when he was just 24 and heavily under the influence of Schoenberg and Stravinsky. It displays a brilliant use of wind instruments and, especially in the SPCO's reading, a melding between soloist and ensemble that is muscular, vivid and complex. Weill might have considered "elegant" as a pejorative word, but that is the soaring quality of Copes' playing, along with the compelling sense that he's taking the listener somewhere. The highlight of the concert was concertmaster Steven Copes' performance of the Violin Concerto by Kurt Weill. 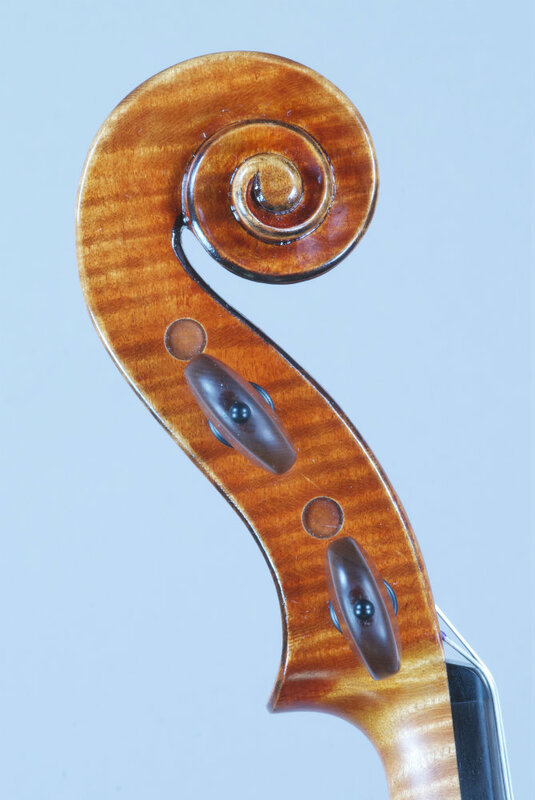 The work demanded the full range of violin technique, from heartfelt emotion to extreme technical proficiency. Copes performed it all like the virtuoso that he is. Conductor Boyd, who has made a splash heading the Manchester Camerata, projected the sublime beauty of Mozart's slow movements and, with excellent contributions from Pedja Muzijevic (piano) and Steven Copes (violin), led an arresting account of the Berg (Chamber Concerto), although the first movement, with its Viennese waltz, might have had more playfulness. A Partita by Polish composer Witold Lutoslawski was commissioned by the SPCO for the Ordway's opening in January of 1985. Music director Pinchas Zukerman was the soloist then, a role assumed this weekend by the orchestra's concertmaster, Steven Copes. His deeply involving performance Friday morning reached its peak in the emotional middle movement, when his increasingly urgent high notes sounded like a cry above the martial fray of the orchestra. The Chamber Orchestra of Europe under the baton of Thomas Ades created a magnificent performance on the fourth night of the Edinburgh International Festival. In contrast to Ades' meticulous interpretation of Beethoven's Namensfeier overture, his baton wavered in the second piece of the program. Guiding the orchestra through the contrasting changes of character in Stravinsky's Pulcinella Suite, Ades' overall control and interpretation of tempi was not as strong as one would expect. Faltering slightly in the last Allegro entry before the Gavotta con due variazioni, the orchestra recovered quickly in response to Ades' assertive baton with a dazzling solo from leader Steven Copes. .. the musicians sank their teeth into this program as if voraciously hungry for the kind of emotional release afforded by Brahms, Mendelssohn and Schumann. 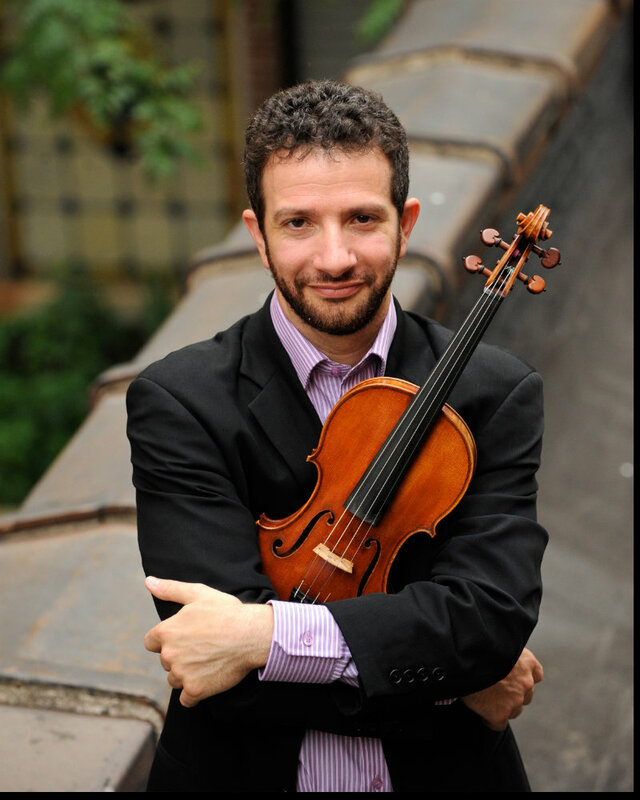 None more so than concertmaster Steven Copes, the soloist for the Brahms Violin Concerto. He attacked the work with a passion and intensity rarely seen from a musician who more often comes off as a humble team player. Whether shredding his bow hairs on the cadenza of the opening movement or tugging heartstrings on the slow Adagio, Copes was electrifying yet technically impeccable. Chalk it up to the fact that the SPCO had never performed this Romantic masterwork in the orchestra's 50-year history, but there was an atmosphere of seizing the opportunity that seemed to fuel this interpretation. In a fully Romantic program of Brahms, Schumann and Mendelssohn, SPCO's own players show their virtuosity. Copes proved his mettle in the Violin Concerto in D, Op. 77 by Johannes Brahms. He conducted economically, with minimal hand gestures and often no more than a tilt of the head or a raised eyebrow, but he had a clear sense of the shape and structure of this monumental Romantic work. He was able to maintain his split focus without sacrificing any measure of his solo virtuosity and while maintaining a sure hand with the ensemble. As soloist, Copes demonstrated himself the master of the grand gesture, from the bravura cadenza in the opening Allegro to the lyrical meditation in the Andante. He clearly felt the music very deeply, and the solo performance was deeply affecting. The concert opened with Robert Schumann's Overture, Scherzo and Finale, Op. 52. This brief three-movement work built from the sprightly, lyrical Overture to a lively and dramatic Finale. Copes clearly had a good time with the piece, leading an energetic, fast-paced performance that sacrificed nothing in terms of orchestral cohesion and balance. The program ended with a dashing performance of Prokofiev's Violin Concerto No. 2. The music's mix of tart lyricism and incendiary bravura took splendidly to the suave brilliance and brawny attack of Steven Copes, the orchestra's proficient concertmaster. ...the star of the show may have been the orchestra's concertmaster, Steven Copes, who delivered several thrilling violin solos on the concert's five other works. It was a briskly paced and utterly enjoyable program, full of reminders that the SPCO is a first-rate baroque band. Or, in this case, a top-notch string section. For most of the concert, harpsichordist Layton James was the only one without a bow in his hand, and he and the cellists were alone in employing chairs. That increased the physicality factor, as the standing, conductor-less musicians cued one another with twists, dipped shoulders, nods and glances. represented were also violinists, and it's clear that they felt it in their best interests to write showpieces for that instrument. The rapid about-face in the fortunes of chamber group Accordo reminds me of the final scene in the film "It's a Wonderful Life." Just as Jimmy Stewart's character, George Bailey, was in a dark and desperate place, only to be overwhelmed by the affection and generosity of the people of Bedford Falls, so has Accordo found its basket overflowing. 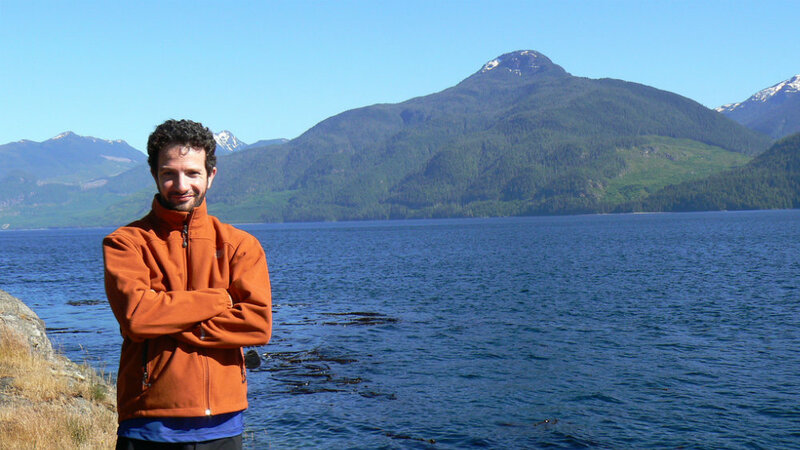 July 10Chamber Music NorthwestKaul Auditorium, Reed CollegePortland, ORwith Sasha Cooke, mezzo soprano; Bella Hristova, violin; Paul Neubauer, viola; Anna Polonsky, piano; Dan Schlosberg, harpsichord; Samuel Suggs, double bass; Peter Wiley, celloBach: Cantata # 170, "Delightful rest, beloved pleasure of the soul"